Adaptative is an Internet Marketing company and Search Engine Optimization service provider Jaipur, India offering complete web marketing services and solutions that include Social Media Marketing, Link Building, PPC, SEO, content creations, conversion videos, local search, email marketing campaigns and web Analytics solutions along with web design and development services. 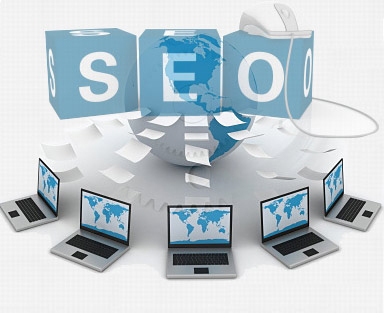 We understand how important it is for your company to have its place on the top of the SERPs for getting desired visibility, reputation and better authority on the market.Thus, striving for better growth and unprecedented success of your online business, we assist you in brand building, authority creation, reputation management through most effective online marketing strategies and ethical SEO campaigns. Our staff of skillful, diligent and well experienced search engine optimizers and Internet marketer with years of practical knowledge and competence work collaboratively to broaden your reach by getting successful online presence, enhanced website traffic, improved search engine ranking. Aiming at achieving better presence and visibility and improving the way search engines crawl and index your site, we focus on Social Media optimization, On-Page, Off-Page, and Internal Optimization using only the Ethical SEO techniques more commonly known as the White Hat SEO. Adaptative takes pride in assisting you in becoming highly visible, essentially efficient, and positively popular among right audiences to attract right visitors that really convert. We pay the needed attention to every essential detail and optimize your site from almost every angle. Your brand presence expansion, increased search visibility and visitor conversion into loyal customer is pivotal to your success and thus in working towards better branding and optimization of your online business, we concentrate on each of these metrics. At our search engine marketing firm, we don't just optimize your site for Google the search engine giant alone instead make your site visible for ever search engine so that you don't miss you potential clients who don't Google things and rather take to Bing or yahoo. Howsoever small the number of these prospects may be but losing your potential client is always a loss which we don't let happen with our customers. Our team not only keep improving their skills or learning better methods and techniques but also focus on staying up to date with every single update that the major search engines make. So, whether it is a Panda or a Penguin ready to hurt you, you have a mastermind optimization lion to keep you safe! Hiring our team means commitment to best results, transparency in efforts with regular reports of our work, flexible services well tailored according to your needs, and most affordable solutions.